Cucumber Salad with Mushrooms. Recipes from Russia. 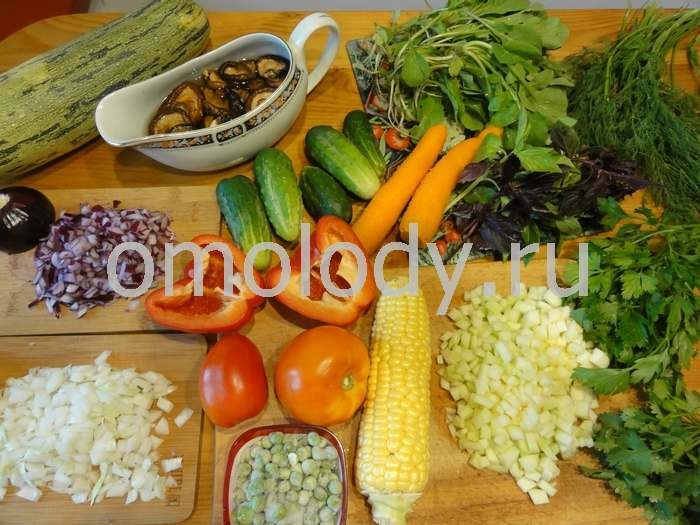 Mushrooms, aboriginal Russian food, are great with cucumbers. Cucumber here appreciated for delicious refreshing taste. 300 g (12 oz) canned mushrooms. 1. In a deep pan, pour oil, add lemon juice, salt, ground black pepper and julienne mushrooms and stew for 4-5 minutes, cool down. 2. Slice finely cucumbers, chop onion and add to cooled mushrooms. Dress with mustard and chopped greens. Serve on lettuce leaves.